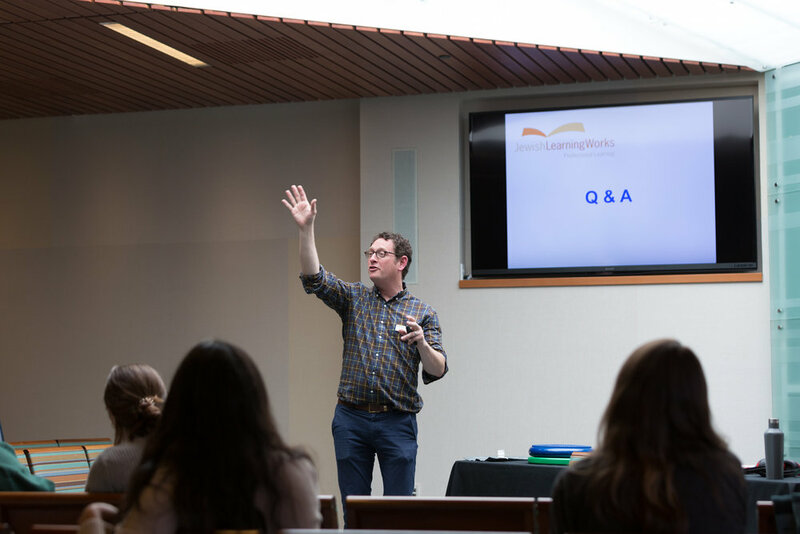 Recently, 50 educators gathered from all over the Bay Area for our annual INCLUDE Day of Learning, a day focused on the inclusion of people with special needs in Early Childhood and K-8 Jewish educational programs. The experience affords an opportunity to reflect on our methodologies – not WHAT we teach, but HOW we aim to impact Jewish learning. In our work, we often face a dilemma. However, we are not satisfied by technical solutions, because technical solutions are a band-aid. Instead, we seek to address these technical challenges by pursuing, promoting and training toward higher-level thinking to effect deeper changes – in day-to-day practice AND in the way we think. Addressing these higher-level challenges might be called “adaptive thinking" and have a better chance of resulting in "adaptive solutions.” One method by which we help influence these adaptive approaches is to provide “educational thought leadership” - helping educators think differently about important aspects of their practice. But we don't stop there. We pour tremendous energy into deepening our efforts to expand beyond thought leadership. We work to equip educators with knowledge, skills and tools that they are prepared to use in their classrooms. Yesterday, we brought Meredith Englander Polsky, Covenant Educator Award winner and founder of a sister inclusion organization, Matan, and her colleague, Eve Margol, founder of Linked Education Resources from New York to our community to partner with our own Dr. David Neufeld. Together, the three thought leaders engaged with 50 educators representing a huge cross section of our community on this very subject. I'm thrilled to report that participant reactions indicate shifts in deeper thinking, one educator reported "really understanding that every child is made in the image of G-d and remembering and honoring that even in the hardest moments." And, every single educator was able to report concrete actions they plan to bring to their classrooms. Other evaluations similarly referred to both modes of learning – “Eve’s workshop…was a dream because it contained a lot of concrete tools and strategies…” and “I loved David’s workshop on integrating sensory tools…eye-opening and really helpful,” and “I loved how you addressed the emotions and concerns that we educators have about ourselves…” Though these comments were cherry-picked, the evaluations were uniformly and enthusiastically positive. For families! December events at the Library! High Holy Days Tickets for Kesher Families! I spent a few hours this weekend up at our Special Needs Family Camp, as usual, I was blown away. My wife, Ellen and I attended the talent show Saturday night. This is an annual highlight when (mostly) the kids perform. Some parents, some staff but mostly the kids. And by the kids, I mean those kids who are there because of their special needs and also some of their siblings for whom the opportunity to be the center of attention is itself a rare one. Kids ages 6 to 24 from the Peninsula to Sacramento, San Francisco to the East Bay took the stage to perform "from each according to their ability." Performances included singing songs, playing an instrument, doing a dance, or even just blowing one note on a recorder. The audience – kids, siblings, parents, staff, guests – all took enormous delight with each performance. Our staff consists of adults and teens from a variety of backgrounds. Several Jewish LearningWorks staff (present and past) VOLUNTEER and we also rely on Sonoma State students– which means a ton of youthful energy. We had some teen volunteers and seasoned volunteers as well as some experts brought in to lead workshops for parents (e.g., speech pathology, financial planning, etc). Rabbi Rick Winer (Fresno) was our designated spiritual leader, along with his wife, educator Rabbi Laura Novak-Winer and their son Max Winer who was our Song leader. Rabbi Meredith Cahn and Reb Irwin, former Family Camp Spiritual leaders, as well as Dance Specialist Bruce Bierman also joined us. David Neufeld was there, of course; we contract the wonderful Cheryl Cohen, an East Bay educator, to direct the camp. When I attend INCLUDE events, parents always come up to thank me – which is odd because I have less to do with the camp than any other staffer there. I try to act humble, but the fact is – they are thanking me as the representative of YOU. 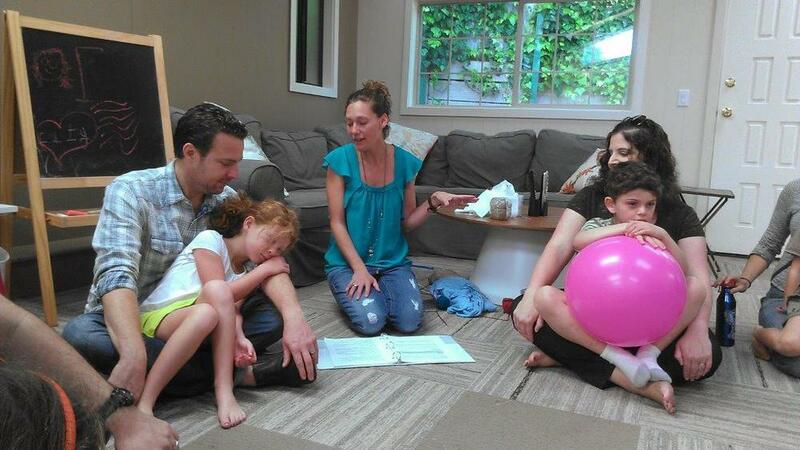 They know that this project costs money – they are thanking me, they explain, because Jewish LearningWorks continues to make them and their kids a priority. Because we, by virtue of this camp, continue to remind them that they are part of the Jewish people, and that they and their children are important to us and our community. This is, unfortunately, not always obvious to them and not always reinforced in their interactions with the Jewish community (this is what we are trying to change, right?). That is exactly what I take away from Special Needs Family Camp each year and that is why we do it. So, again, on behalf of the parents, I convey their message to you: Thank you. Shalom explorers is kicking into high gear and kids are loving the home-based experiential learning! If you know kids in k-2, connect their parents with explorers@jewishlearningworks.org to learn more and to sign up for the next session! Or visit out booth at Israel in Marin this Sunday. Read a testimonial from one of the participants from the Navigating Difference, Embracing Inclusion workshop, Assessing Your Inclusivity: Best Practices & Ways to Improve. Hi, I attended today's first of four Include sessions in Oakland today and I am thrilled by the experience. Before my work week sets in motion, I want to thank you and the other leaders for providing us a well organized and meaningful experience to address the complexity of diversity in our Jewish communities. It was immensely inspiring to realize that throughout the Bay Area Jewish congregations are striving to improve their efforts towards inclusion. I am far less isolated and far more optimistic as a result. I hope to attend future sessions. Please pass on my email and gratitude to the other leaders: David, Diane and Marilyn. We want to thank the individuals and the institutions who were present at the Navigating Difference workshop on February 23rd.